So, you are going to ACS in Philadelphia. It will be a great show with a lot to see and people to meet, yet you may want to take a break and enjoy the city. Below are a few places we like to visit when we are here. 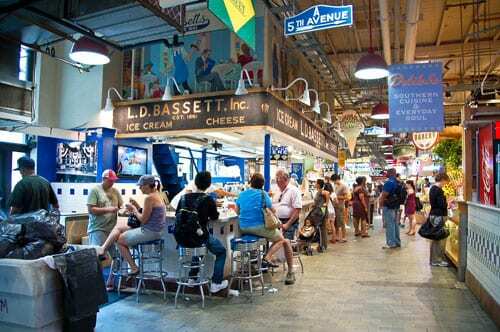 We also share others you must try at least once or if it is your first time in Philadelphia. 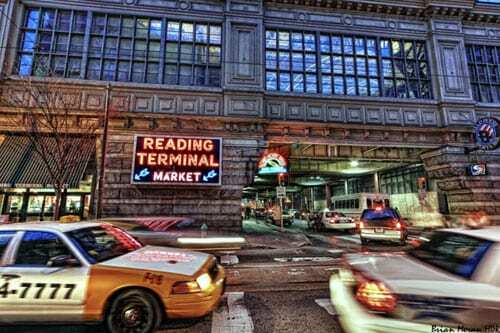 Just across from the Convention Center is the famous Reading Terminal Market. 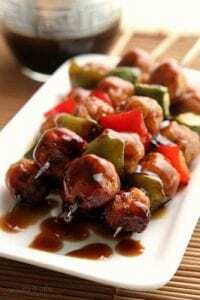 Which is a glorified farmers market with many eclectic foods and goods to try. And, without having to go far, you can find an authentic Cheesesteak. Which is what Philadelphia is most famous for, as you may already know. There are 8 locations where you can try one of this cheesesteaks inside the Reading Terminal Market. 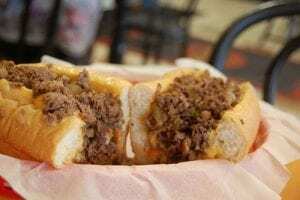 According to Philladelphia Magazine, “The Franklin Cheesesteak at Carmen’s Famous Italian Hoagies & Cheesesteaks” at A & 8 may just be the best. There are a couple of places we recommend for entertainment and after hours to unwind before returning to ACS the next day. This is Philadelphia’s 1st Izakaya (Japanese version of a pub) and upscale karaoke lounge. First floor is a Yakitori pub with nice food but I haven’t eaten there yet, so I will have to let you know how food was after I do. On the second floor, there are private rooms for “singers” available. You can shout and will not be disturbed by unwanted “singers”. Last time we were there we sang for 3 hours! Do you enjoy great fish with whiskey? Although it seems a little bit strange of a combination, Bank and Bourbon know what they are doing as it actually works quite well. They have a great selection of whisky and knowledgeable bartenders. Just next to the bar, the restaurant serves delicious grilled fish. Which is the best fish I have ever had within the US. And of course, you have to check some of the other staples of the city which you can’t miss. Such as the Liberty Bell, which is only a few blocks away from downtown. Or the statue of Rocky Balboa at the foot of the the Art Museum steps, the iconic “Rocky Steps”. Take a picture with Rocky and climb the steps in victory for a nice view of the city. Of course there is a lot more to see, and with summer here the city has a lot to offer. But, if you cannot escape much from ACS, you can always visit our booth #1102. You can learn about great products have great conversations and maybe we can have a drink and some karaoke afterwards. Hope to see you there, at the very least we hope you enjoy ACS and Philadelphia. 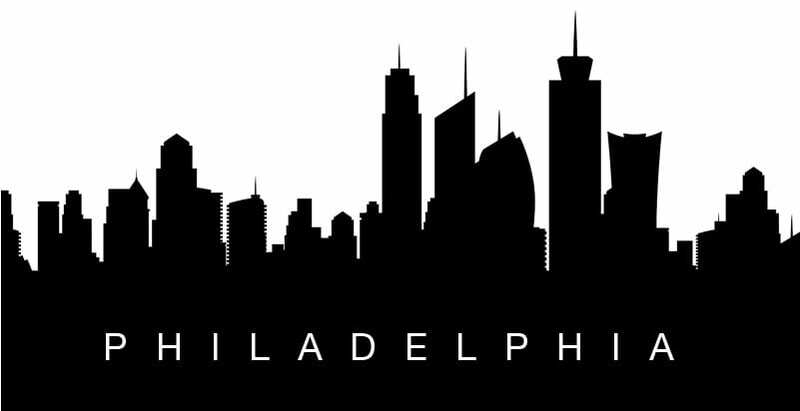 Are there any places you like to visit when in Philadelphia? Leave your comments , we would love to know of other great places to visit.